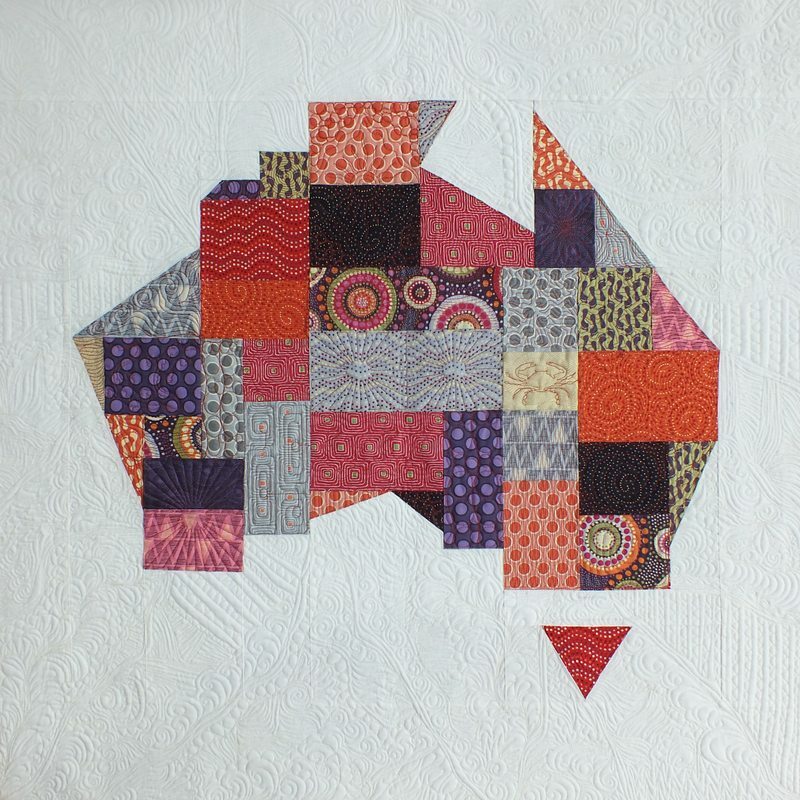 About a year ago, Peta from She Quilts A lot (and believe me she does), asked me to quilt her paper pieced Australia for Fat Quarterly e-Magazine. A very clever design which has starred on many totes taken to Quilt Con 2015. The issue with the quilt has finally been released so now I can show a picture. As Peta said, “better late than never”. Aurifil 2024 50wt, 2600 50wt.